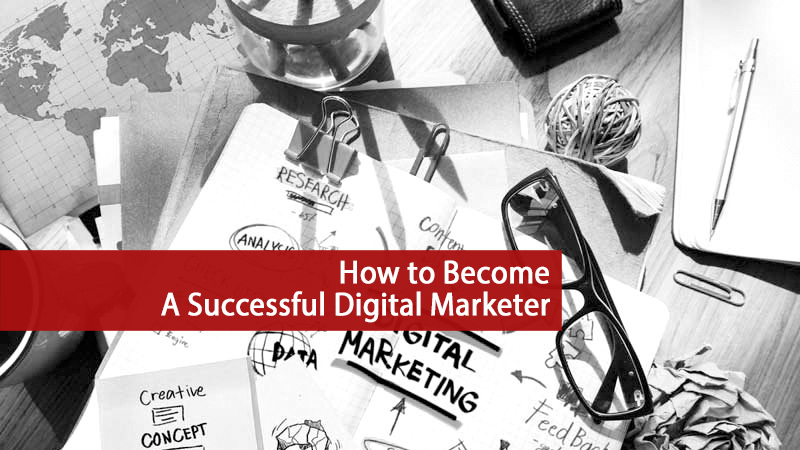 How to Become a Successful Digital Marketer - For Beginners! You are here: Home / Marketing Tips / Digital Marketing / How to Become a Successful Digital Marketer – For Beginners! Digital marketing might not seem too easy for some marketers, especially for small businesses and new budding entrepreneurs. Taking the right step and putting in the right amount of effort at the right point so as to promote the product or the service to the right audience at the right time is extremely important. The efforts need to be made such that it not just promotes the product to the target audience, but it has to be done effectively so much so that the customers are compelled to buy the product from the company itself. The recent trends in the digital marketing are changing every single day, and thus the marketers need to update themselves according to the market requirements to promote your products or services more effectively. Making a mark in the digital world for beginners is a bigger challenge. However, fret not! We have listed a few strategies that should be followed by new aspiring digital marketers to reach the zenith heights of success. One must create a comfort level with the different terms frequently used in digital marketing. These terms may include PPC, SEM, SEO and the likes. They all have a very different meaning no matter how much they are misunderstood at times. As a digital marketer, this should be considered as the first attempt, and the basics should be clear. Analyzing the digital campaign and making the most out of it should be imperative to any budding digital marketers. They need to know what the leading trends in the market are and how they should take the measures to create the maximum amount of impact for the company, reaching out to the maximum audience. For a beginner marketer, it is essential that they are well-read and have a good overall idea about the different aspects of the digital market, but they must be specialized and proficient in one single domain. Anything and everything related to that domain should be as easy as pie for you. In technical terms, this is known as T-shaped marketing. Learning and staying updated might be another step taken by them. It is a very effective way of knowing what the market demands and act in the same way like that to bring about the optimized results. This is a great way to make a positive impact. If you know what the audience is looking for and what they desire, then you are good to go. Building an optimized website where the audience will be guided about the different products and services provided by you would help you reach out to your potential clients/audiences effectively. 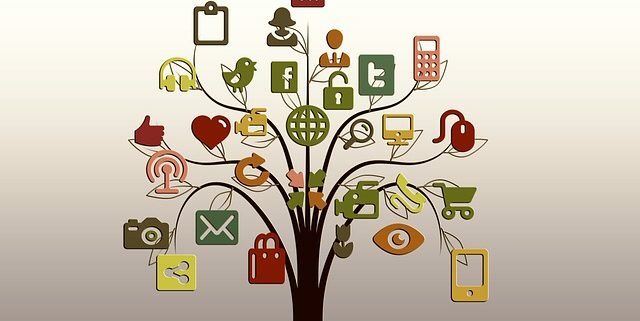 The website can serve as an appropriate connection point between you and the audience as they will search for you online and get the overall information about you within minutes. It is highly recommended to incorporate the newer advanced tools for increasing the traffic to the website. You can take help of web development services if you are not well-versed with website development. Creating a social media page and having a simple Email ID will ensure that you are approachable to the audience in the easiest way possible. Managing accounts and connecting with the audience is a very good way of doing a proper and accurate digital marketing for anything and everything. A very good start can be by knowing your strengths and your areas of improvements. On the basis of your strengths, build up a proper digital marketing strategy that works out best for your niche of customers. This, in turn, will help you optimize your efforts as a digital marketer. It is also essential to know your niche customers inside-out. This will help you form the strategy and personalize it. Depending on the type of customer you have and the products or the services you are selling you can strategize. The optimized efforts and results will be shown in a very short period. You need to have a clear idea about your ideal customer. Have your goals and targets fixed well in advance to hit the right target audience in the right way and make the most results out of it. Make a list of your present investments in advertising or promoting. Audit the current earned, owned or paid media. Create a well-revised wish list for your work. Plan out an optimized and appropriate strategy to ensure that the goal is reached in the minimum possible time. In this fast moving world, people hardly have any time to go through the details. So you have to be precise and to the point in your approach. Making an interesting and intuitive page would ensure larger visits and hence more company turnover. Making use of the various advanced digital marketing tools is also helpful in most of the cases. The web pages or the advertisements should be user-friendly and should be written in a manner so that the message reaches most of the people across the platform. Follow the above-mentioned strategies and the optimized methods to make a mark in the digital marketing industry. Keep yourself updated on the daily trends, the current updates in the digital market, know your target audience well and know their demands and the best way to reach out to them and compel or influence them to buy your products or invest in your services. All this said and done, and a little added input from your side will help you be a successful digital marketer. Tom Blake is a digital marketing guru at Media Shark digital agency and all round entrepreneur. Running his own businesses since the age of 20 he’s work has seen him travel the world living in various countries. Now heading up Media Shark in the sunny Gold Coast of Australia. He’s passion lies in helping people with online marketing and providing technical SEO and digital strategies with one goal ROI. Digital Marketing2017.05.09How to Become a Successful Digital Marketer – For Beginners!